The Mounts family started their journey in the Dry Creek Valley over 70 years ago. Four generations have had the opportunity to farm 140 acres of pristine land in beautiful Sonoma County. In 1946 the first 60 acres of a prune orchard was purchased by Jack and Dorothy Mounts. After living on the Hawaiian Islands for 30 years, Jack wanted to retire to a farm near his place of birth (Geyserville). His intent was to raise sheep, farm prunes, and watch his third child Richard grow up in the countryside. In 1952, Jack and Dorothy purchased an additional 40 acres of land bordering their existing property; it had 6 acres of Zinfandel planted on it. Richard grew up farming and working in the prune business but wasn’t particularly fond of it. During his last semester studying soil science at Cal Poly, San Luis Obispo, Richard convinced his parents to pull out of the prune business and plant wine grapes. In 1967, Richard planted his first 7 acres of Petite Sirah and 10 acres of Zinfandel. In 1972 he married Diana Rebottaro and that same year they purchased 40 acres of property adjacent to the home parcels. This parcel is where our wine caves are located (built in 2005). It is also the future site for a larger wine production facility to accommodate our growing brand. Richard has farmed wine grapes for over 50 years, selling grapes to multiple wineries throughout Sonoma County and Napa Valley. Currently 90 acres of vineyard are planted consisting of 20 varieties with half of the acreage still producing off of 40 - 50 year old head-pruned vines. Richard was recently honored by Sonoma County Grape Commission and received the highly regarded Viticulture Award of Excellence. David Mounts spent his life growing up in the vineyards under the watchful eye of his father Richard. He knew the farming life well. After graduating in 1998 from Fresno State University with a degree in Viticulture, David went on to work in the vineyard industry. He spent his first six years with Sonoma-Cutrer Winery and Vineyards developing his vineyard skills and learning quality through sacrifice, such as cropping a vine for quality not quantity. David then moved on to manage multiple vineyard sites throughout Napa Valley. This is where he refined his vineyard practice to grow the highest level of quality fruit as well as gain exposure to winemaking at its finest. With a developing palate for high quality wines, David wanted to apply what he’d learned over the years to his own family’s vineyard. The outside experience gave David the confidence and desire to showcase the grapes and vineyards he knew so well, through the expression of wine. In 1997, David met Svetlana Ghosoph, a first generation Russian–American. David swept Lana off her feet by bringing her a bottle of Petite Sirah; the grapes being from his family’s estate. It wasn’t long before they fell in love, married and started their life together. 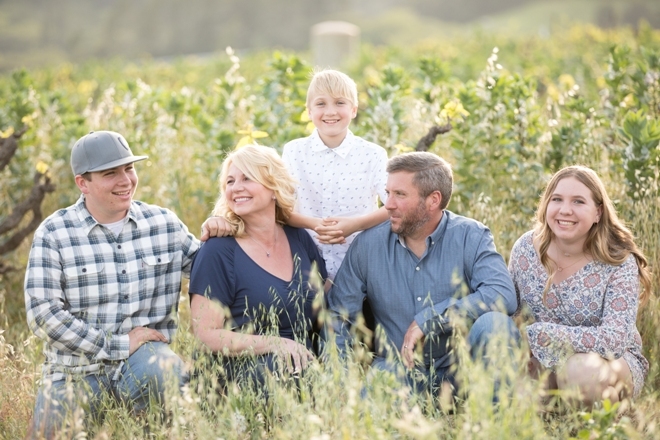 Lana spent the next several years managing a few small family wineries in Sonoma County before they made the decision to create the Mounts Family Winery brand. Lana shared David’s passion for wine and understood the artistry involved in producing a product grown from the soils her husband and father-in-law tended to. David and Lana’s love for wine, passion for growing quality driven wine grapes, and their determination to preserve and sustain the family’s estate led to the natural transition of producing their own wines. In early 2005, David and Lana, with the help of David’s parents, launched Mounts Family Winery. The Mounts family is strongly committed to serving as stewards to the land by which they have been blessed with. Their sustainability practices and the winemaking skills they have learned throughout their career is something they wish to pass on to their three children; the fourth generation of Mounts. Their aspiration is to impart in them that hard work, determination, love for what you are doing, and the mindset to apply themselves to their highest ability will allow for great richness in life, opportunities of creativity, happiness, growth, and beyond.